The 47th (Lancashire) Regiment of Foot was part of the reinforcement of the general Pigott’s left wing, under the command of Major Pitcairn. 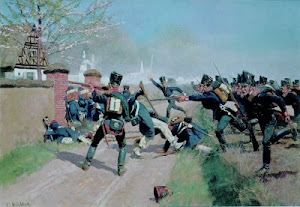 The Regiment attacked the right side of American redoubt. 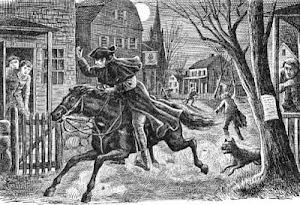 The 47th also fought at Lexington and then at Saratoga, where he was taken prisoner with the entire General Burgoyne’s Army. 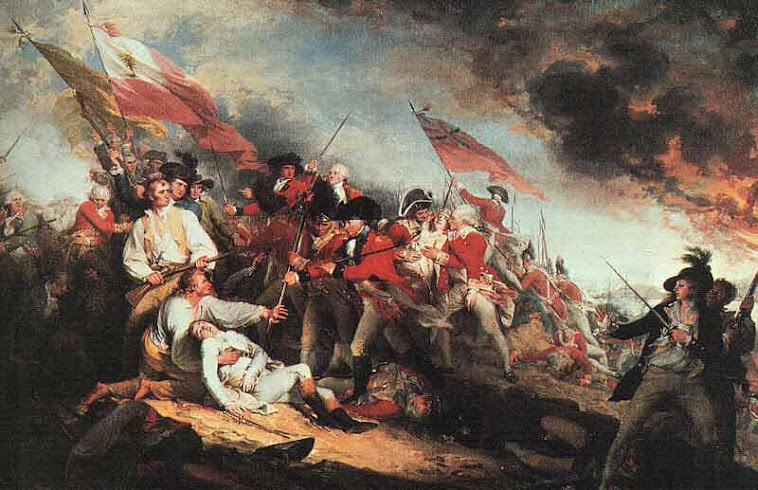 The regimental color of the 47th was the white, the white regimental flag had a red cross on top, because traditionally would not be confused with French flags (all white). Companies choices of 5th & 47th were part of the grenadiers and light composite battalions under the command of Howe. 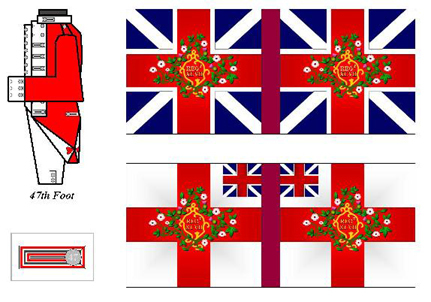 Il 47th (Lancashire) Regiment of Foot faceva parte dei rinforzi dell’ala sinistra del generale Pigott, agli ordini del maggiore Pitcairn. Ha attaccato il fianco destro della ridotta americana. Il 47° ha combattuto anche a Lexington e in seguito a Saratoga, dove è stato preso prigioniero con l’intera armata del generale Burgoyne. Il colore reggimentale del 47° era il bianco, la bandiera reggimentale bianca, aveva una croce rossa sovrapposta, tradizionalmente perchè non venisse confusa con le bandiere francesi (interamente bianche). Le compagnie scelte del 5° e del 47° facevano parte dei battaglioni compositi granatieri e leggeri agli ordini di Howe. Great work! I do like the drummer and the officier...and your eyes are really impressive! As always, you're too good Phil. Come sempre sei troppo buono Phil.